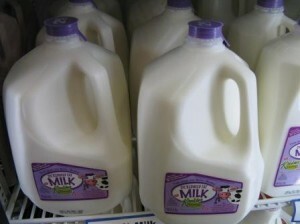 Krieder’s milk is the best tasting local milk I’ve found– try some out in this recipe! 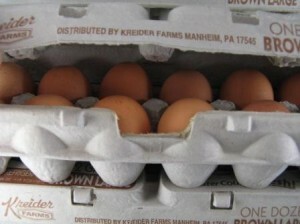 Try Kreider’s eggs with this recipe. I think they are delicious– and they are local too! 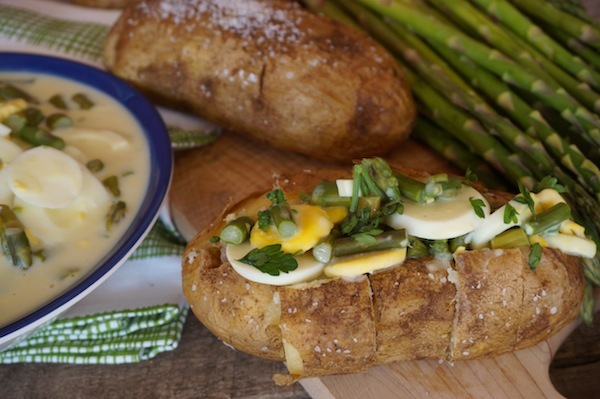 Our selection of potatoes here at the orchard is endless, I prefer using red potatoes for this recipe but you may experiment with other kinds and find what your family likes! 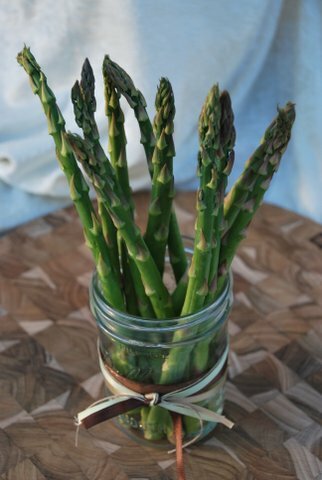 NOTE: The best way I’ve found to cook asparagus: Chop the bottom ends of the stalks off, there shouldn’t be any white showing on the stems. Discard. Chop the remaining stalks into bite size pieces. Put in a large saucepan. Cover part way with water. Cook on high until the water starts to boil. When it’s boiling, turn off the burner, cover, and let set for five minutes. 3 hardboiled eggs, sliced (an egg slicer does the perfect cut, but you can use a knife if you wish). 4 - 6 baked potatoes, depending on how big they are, and how much you want to eat! In a medium saucepan, melt butter, add flour and stir constantly until it’s bubbly. Then, stirring constantly to avoid burning, add the milk on medium high heat until it starts to form a thickened white sauce. Add sliced eggs (warm ones are best), salt, pepper and chopped up asparagus. Serve warm over baked potatoes.